S C R A P M A S T E R: Three Finishes for Me! Three more projects crossed off my list. WooHoo! 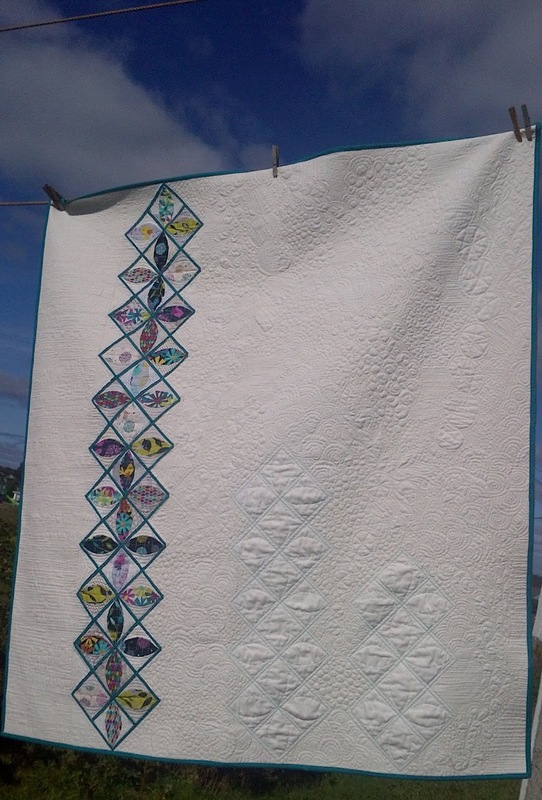 Firstly, A very special quilt. Special because it is a friend quilt. 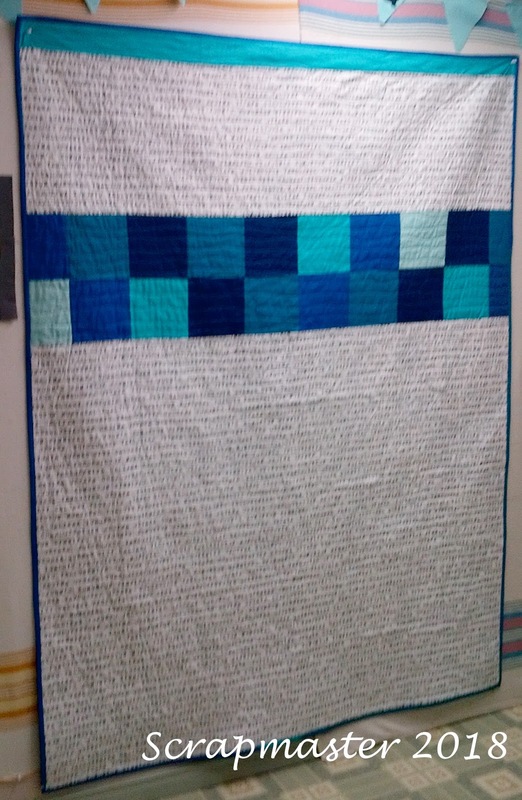 A quilt made by two friends. Very good friends. Karen @KaHolly and Me. Karen pieced and hand appliqued the top and I basted it together and free motion quilted it. 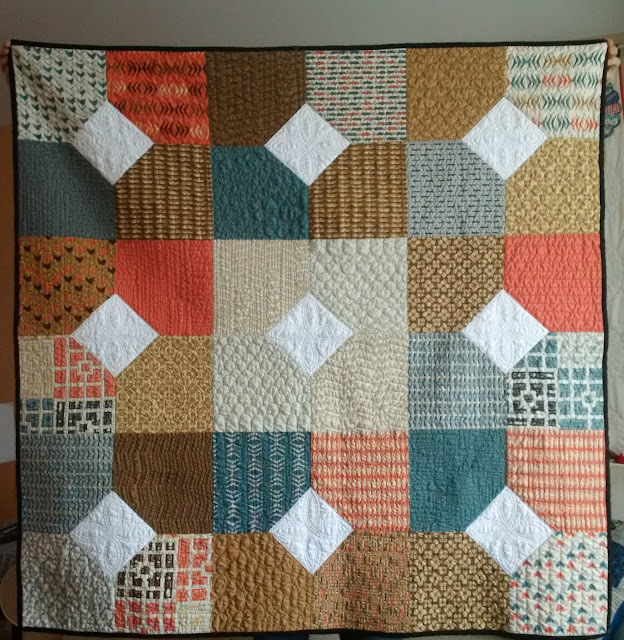 Not sure yet what will happen with this quilt, but for now it lives with me! 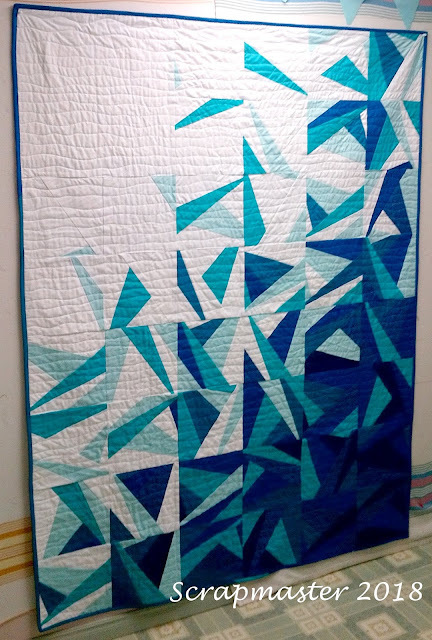 Second... "Niagra Falls 2018" This quilt was gifted just recently. I made it for my nephew, who lives in Toronto, and while visiting him this past July, he took me for a little daytrip to Niagra Falls. The water was just this colour that day. 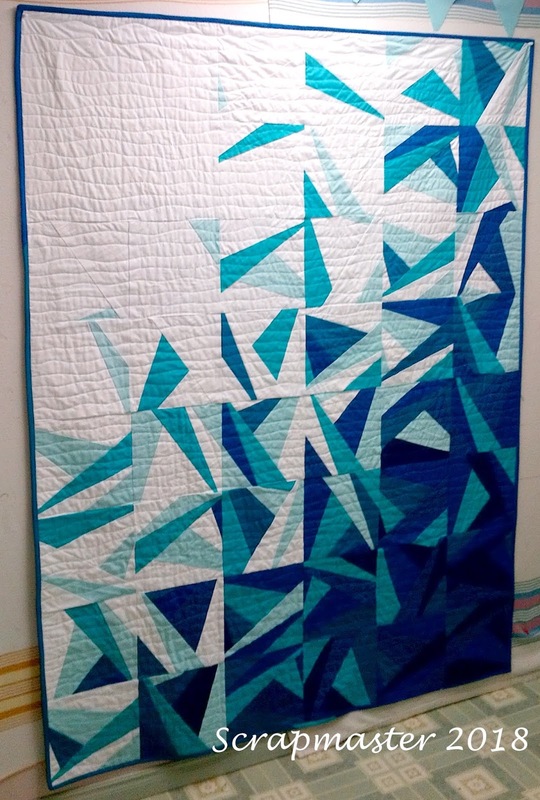 This is from the pattern "Icy Waters" by Amy Garro. All great finishes. Well done! I've been considering the last pattern for a project. Total gorgeousness, Linda. 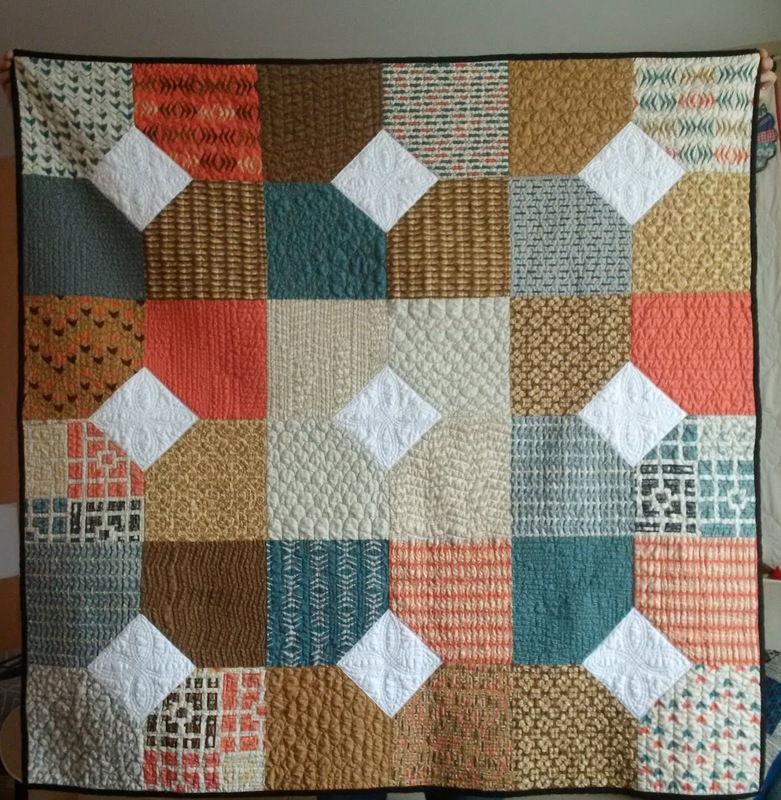 Such exuberant quilting!! 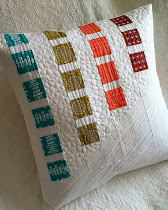 Three beautiful quilters. I must say that the Friend Quilt was a delight to see in person. What a fantastic batch of finishes!! 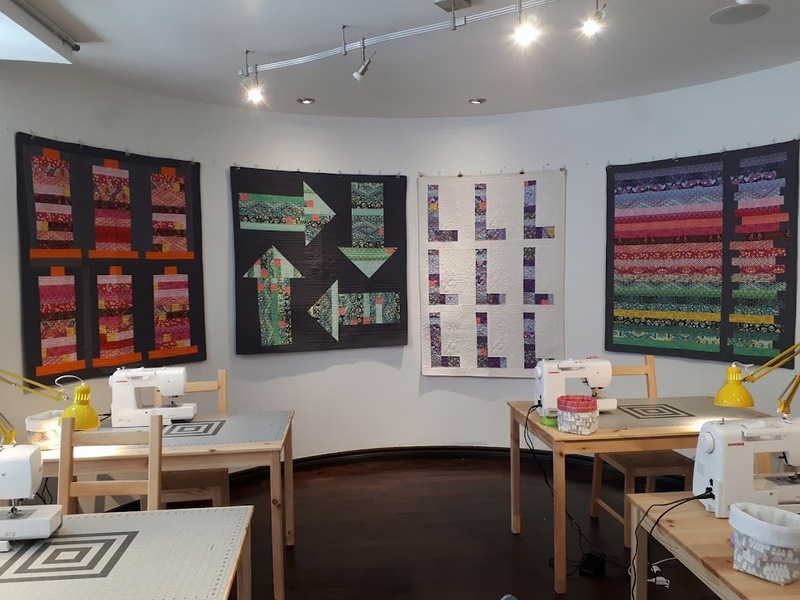 wow Linda your work is amazing such beautiful quilts ,love the quilt that you and Karen made and love the colours you have used in the ther one,well done. Wow! Fantastic quilts. Love them all.